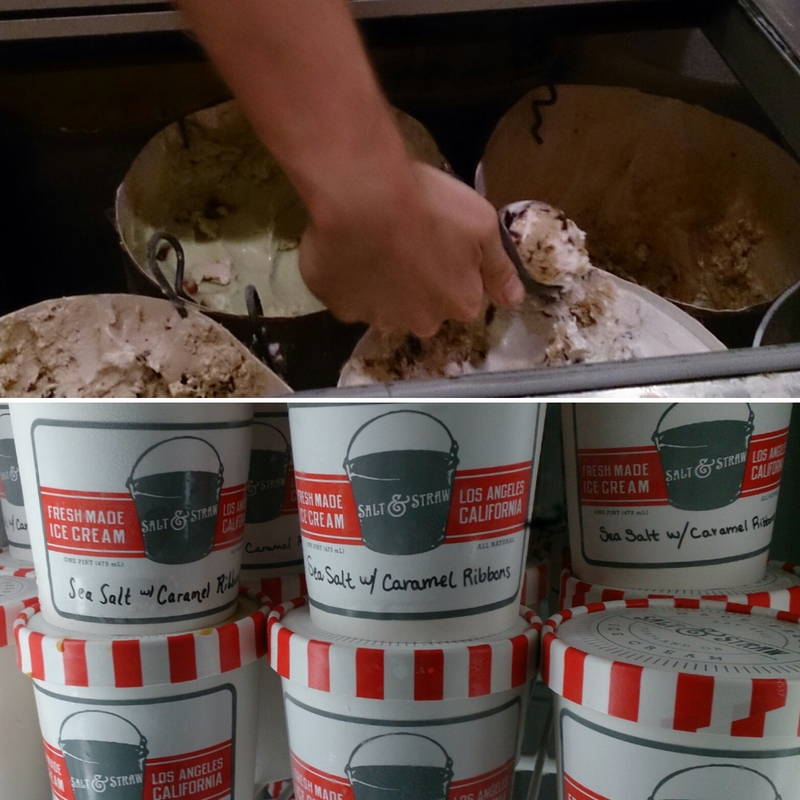 Salt & Straw brings homemade Oregon ice cream down to Los Angeles in their Larchmont store. 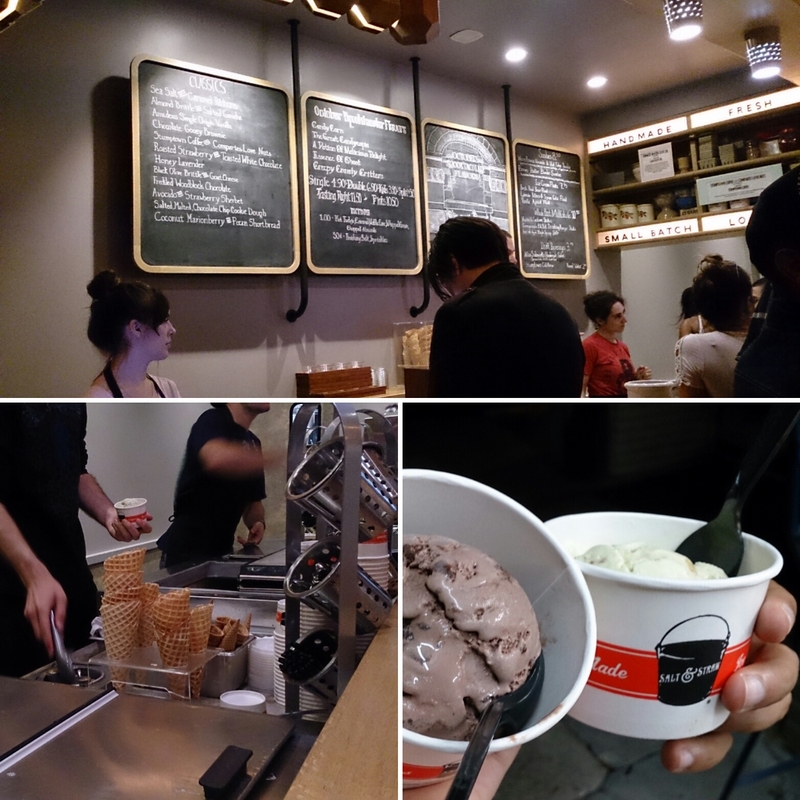 It’s no surprise that Salt & Straw would settle in Larchmont Village because this is, by far, the quaintest and cutest corner of L.A. Open from 10AM to 11PM, it’s either a blessing or a curse for those late night ice cream cravings. What separates Salt & Straw from other ice cream parlors is probably a combination of high-quality ingredients and flavor innovation. Some “Classic L.A. Flavors” stay put, but they play with the menu variety from month to month. October’s “Spooktacular Flavors” range from a normal Candy Corn to Creepy Crawly Critters, which — you guessed it — is made with bits of real bugs. The Chocolate Gooey Brownie was too perfect. Suspiciously perfect. I don’t know how they got the ratio of creamy chocolate to soft brownie so on the mark. You can tell they understand ice cream because they aren’t trying to make it low sugar or low fat, they use real and (mostly) locally sourced ingredients. This means it’s ice cream at it’s best — ten thousand calories and worth every spoonful. Salt & Straw always has a short line outside. I think of it as a testament to how much L.A. loves their ice cream. The wait isn’t bad. When you get up to the counter, ask to sample any flavor – there’s no rush. They have a full staff and great customer service. 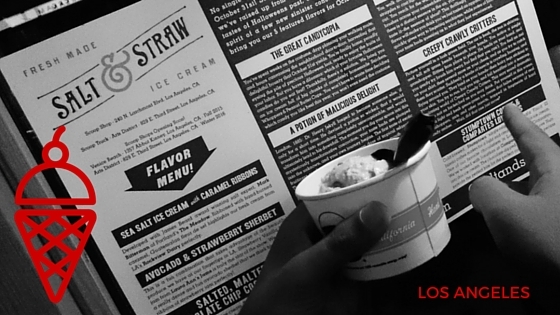 As far as ice cream in Los Angeles, Salt & Straw is top tier, meaning it’s an L.A. must. And I hear they’re adding a Venice location soon!